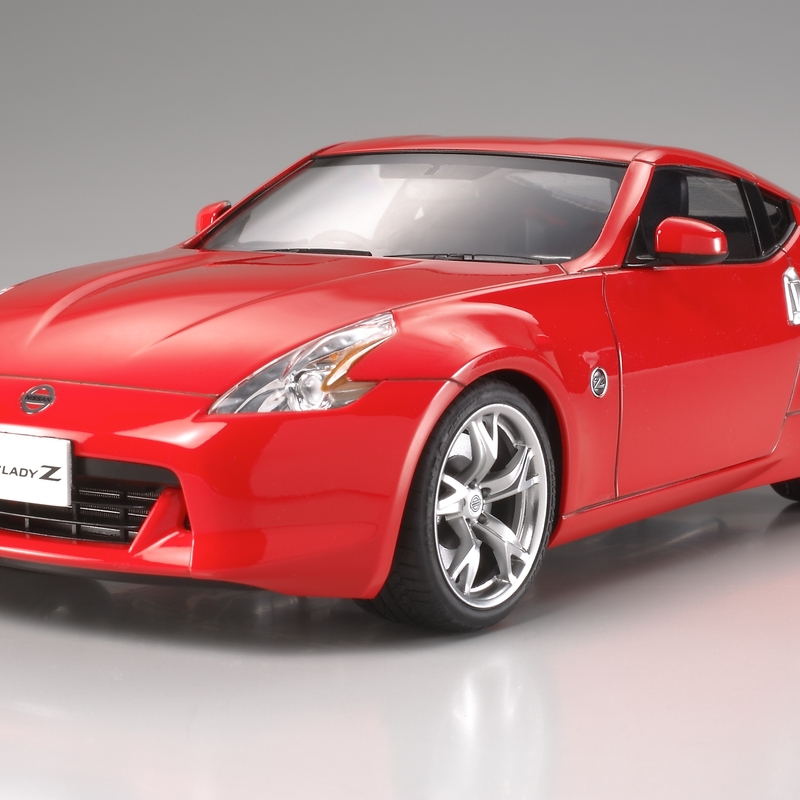 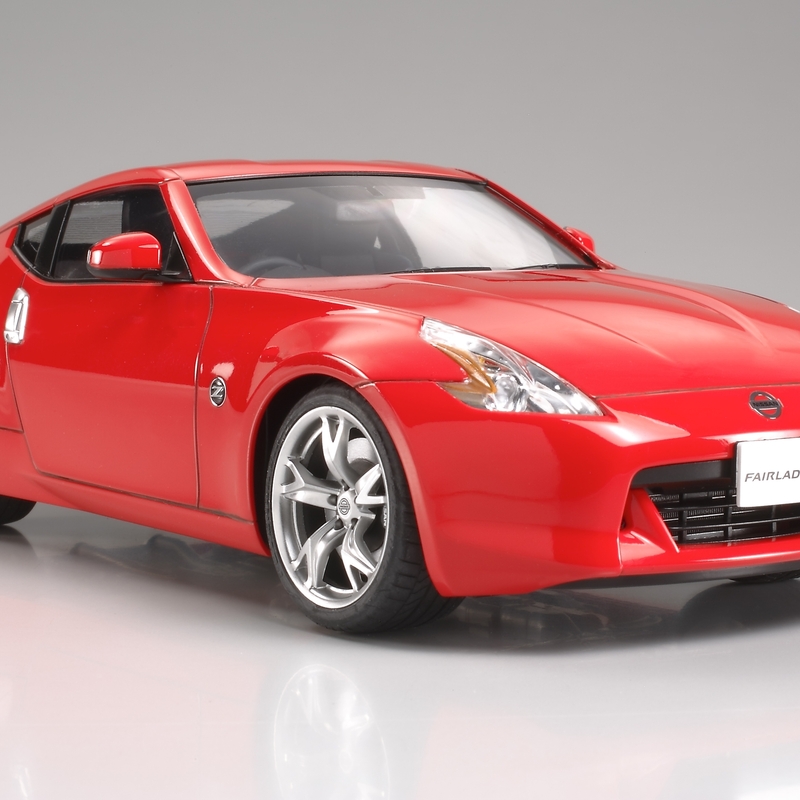 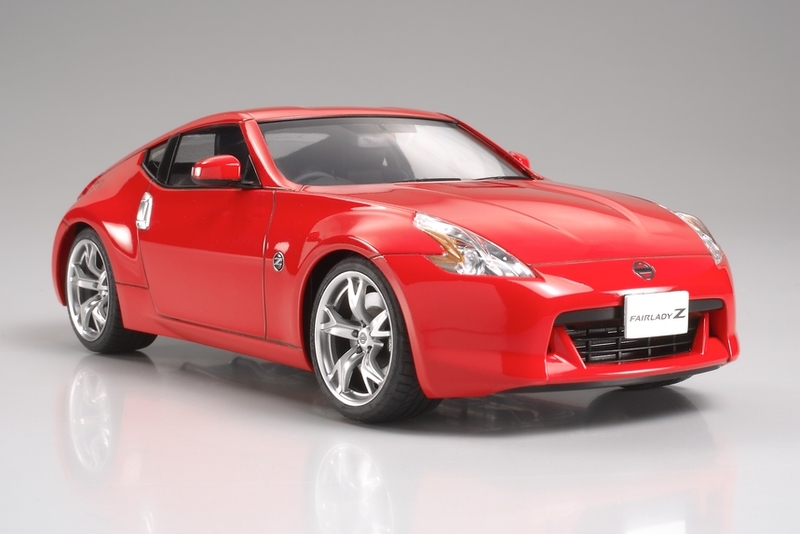 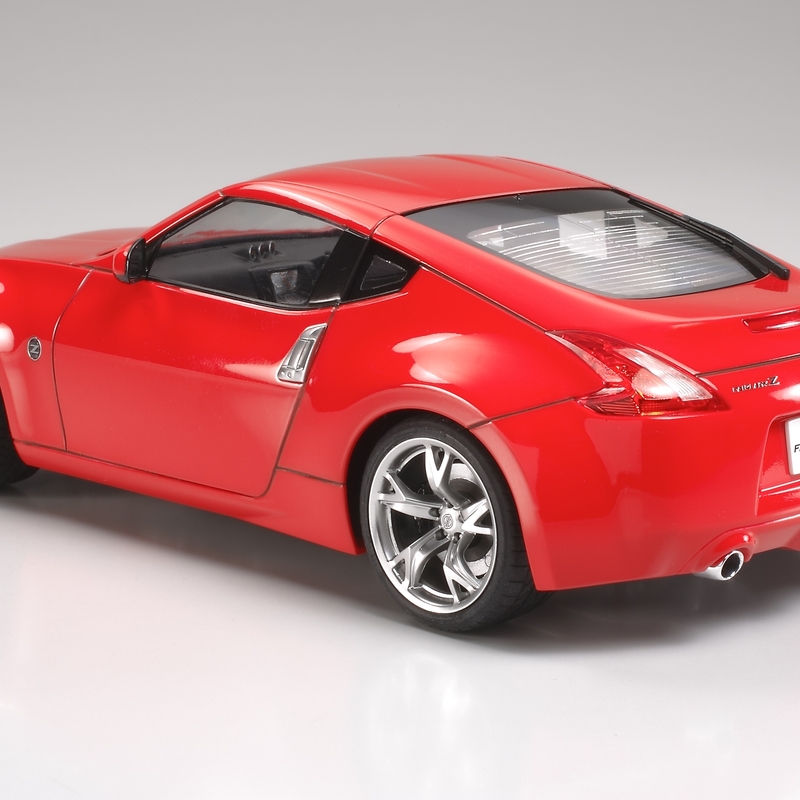 After six years since the previous Z generation model was released, the new generation Nissan 370Z made its debut in December 2008. 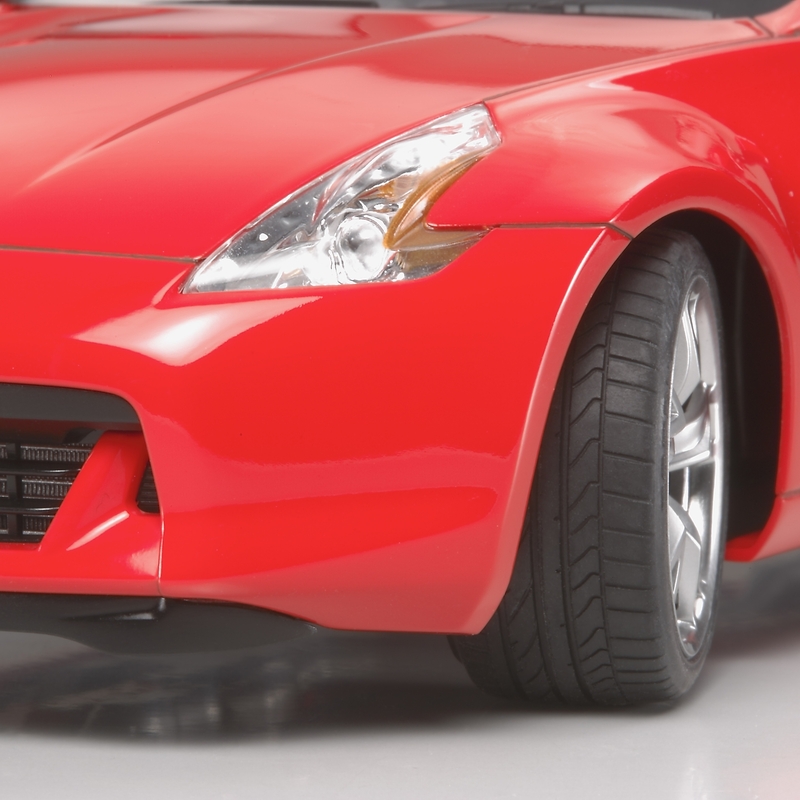 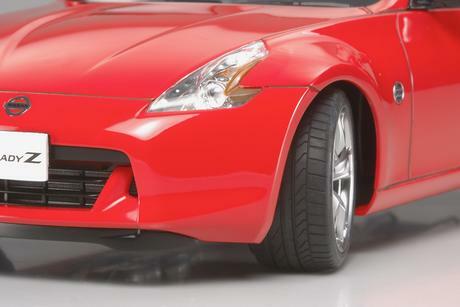 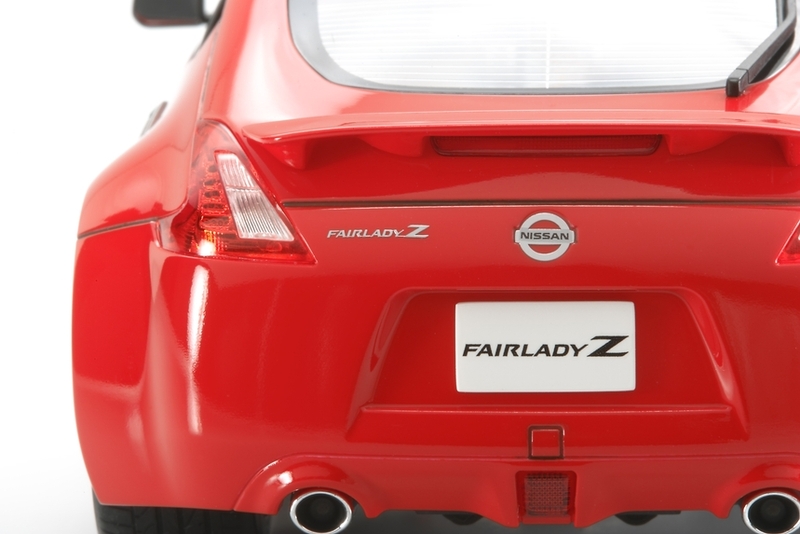 One of the most recognizable exterior changes to the 370Z are its front and rear boomerang shaped lights. 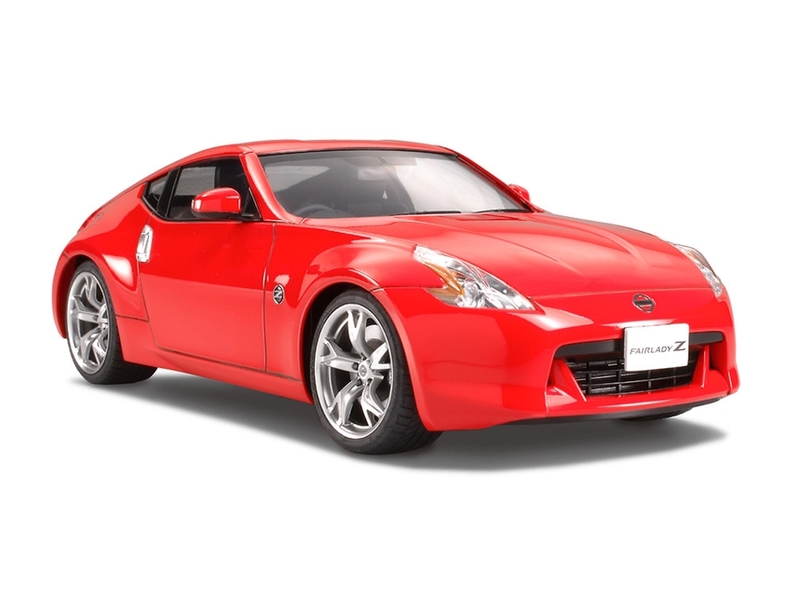 But even with the changes, the classic style of earlier Z cars can still be easily seen throughout this amazing piece of Japanese technology. 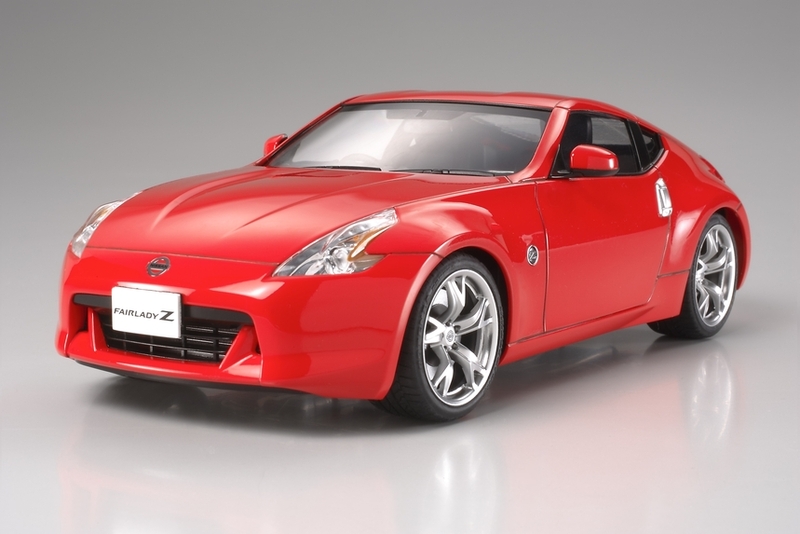 This machine"s wide and low ground-hugging form is thanks to its wheelbase which is 100m shorter compared with previous Z cars. 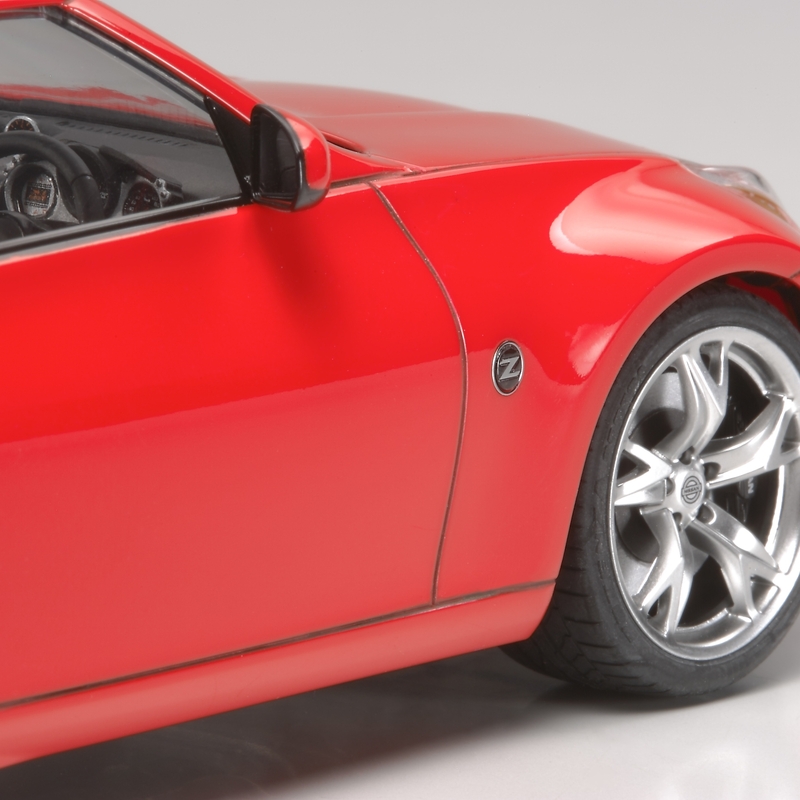 Through this, the overall weight has been reduced and driving performance has improved, making it more enjoyable to drive. 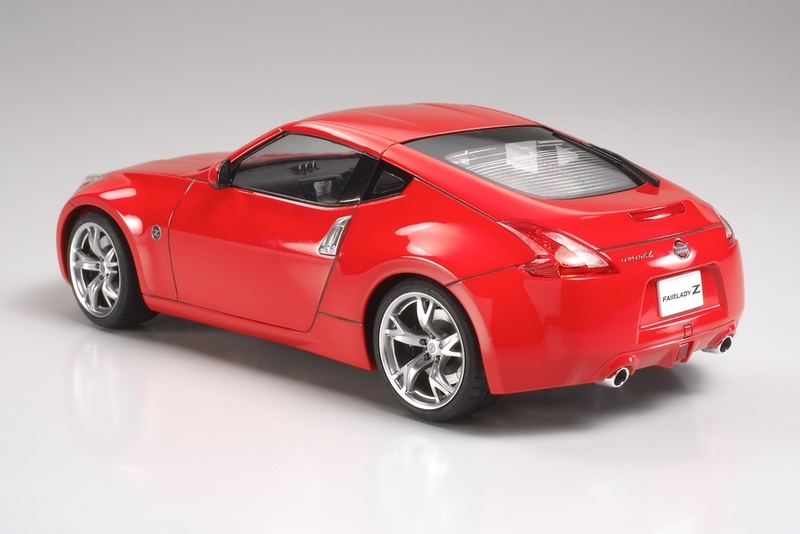 This is an engineless display model kit. 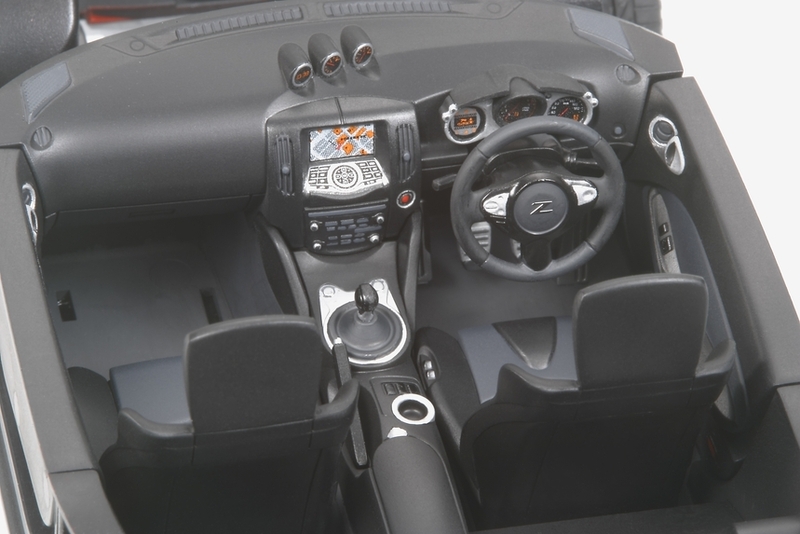 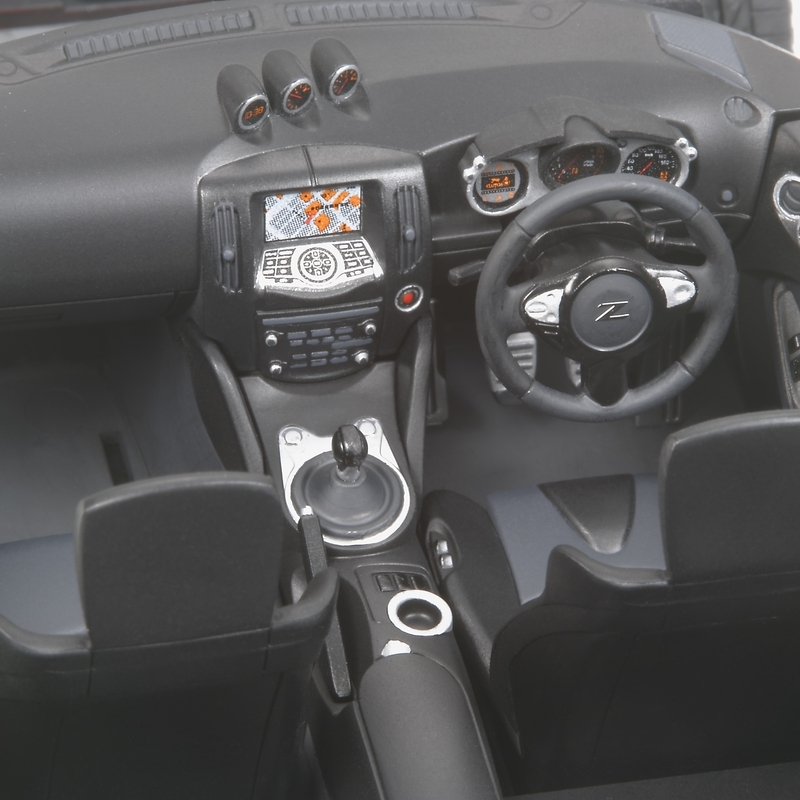 You can choose to build either a left-hand or right-hand drive version of the 370Z. 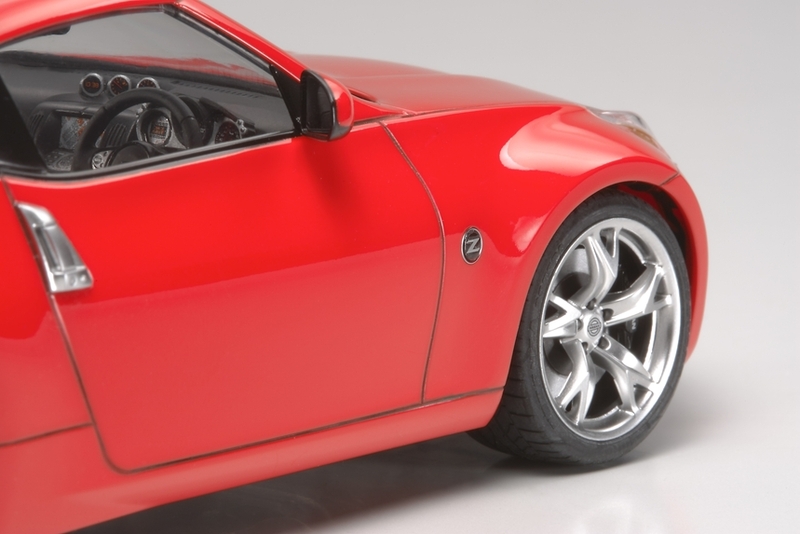 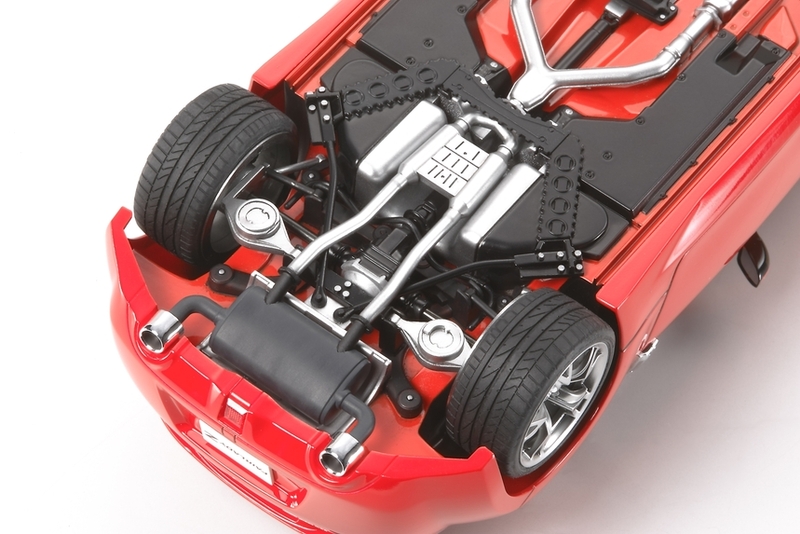 Gloss and matt finish metal plated parts depicting light reflectors and wheels produce a realistic shine, providing the model with greater realism. 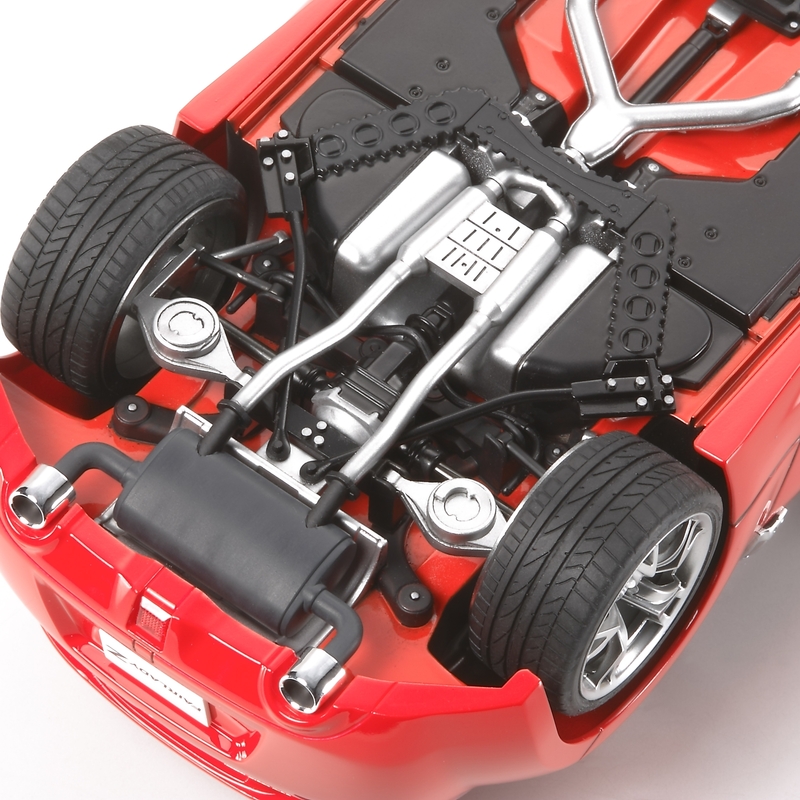 Clear and clear red transparent parts accurately represent light lenses and windows. 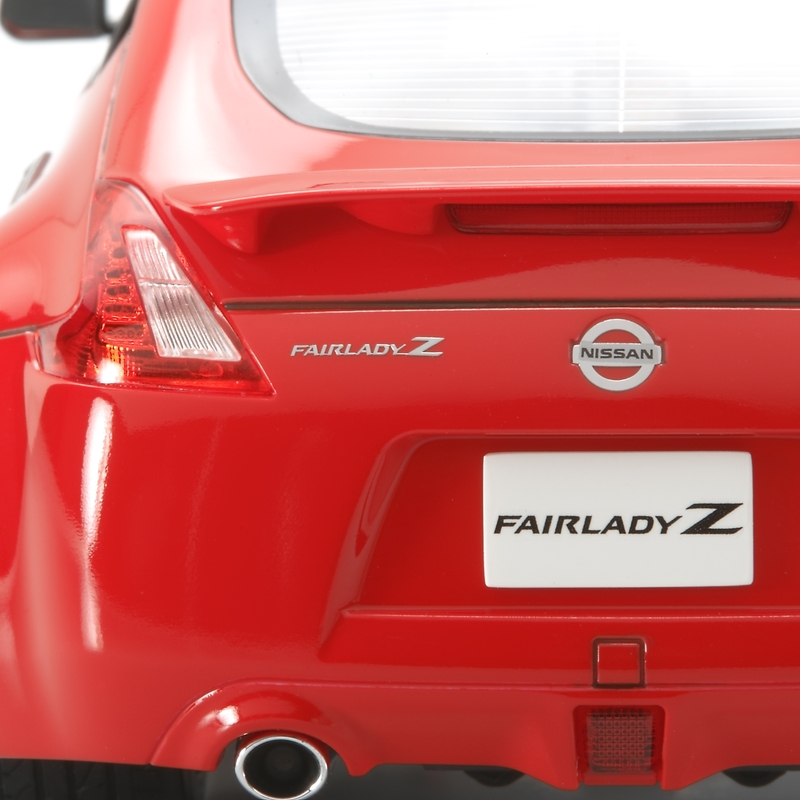 For added realism, metal transfers depicting side mirror surfaces and the cars logos are included.